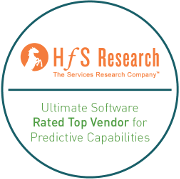 Harness the power of Big Data and make more informed business decisions with UltiPro’s predictive analytics software for HR. Because UltiPro® is a unified human capital management (HCM) solution with millions of people records supported in the cloud, UltiPro’s predictive analytics software for HR has the unique ability to analyze tremendous amounts of employee data, allowing for the creation of more meaningful and unbiased metrics. 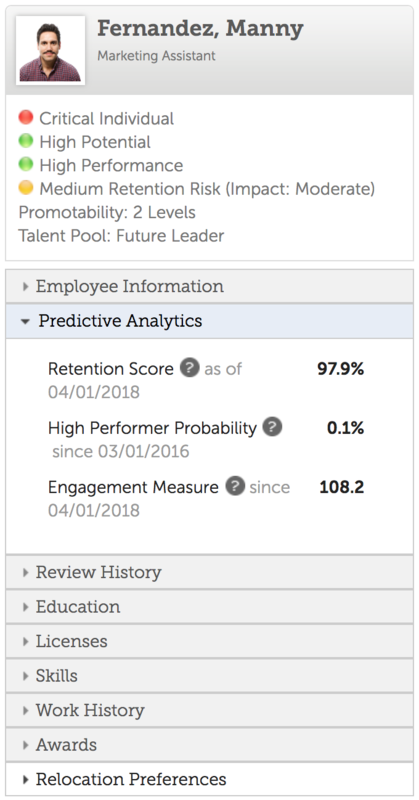 UltiPro’s predictive analytics software for HR is part of a new generation of insight-driven tools developed by Ultimate’s data scientists to help effectively and proactively manage talent. Powered by Xander®, Ultimate’s advanced portfolio of artificial intelligence (AI) technologies, UltiPro’s predictive analytics tools provide actionable insights at key decision points to help leaders make smarter talent decisions and increase employee performance. Check out our Talent Management Tour to learn more.